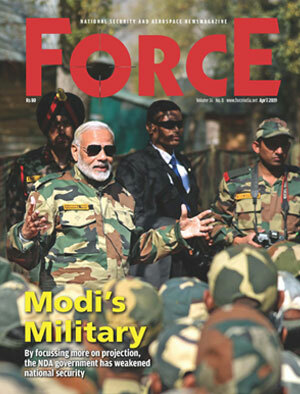 Contrary to the perception, five years of the Modi government have weakened India’s national security since the focus was not on making India militarily strong, but on furthering the right-wing agenda of projecting a muscular India. This was done by a three-pronged simultaneous plan: identification of a desirable threat; centralised defence planning; and deep selection of service chiefs. This has eliminated the need for urgent military reforms. Interestingly, nobody even notices this. The recent appointment of Vice Admiral Karambir Singh as the next chief of naval staff superseding an officer does not mean that he manipulated his elevation. All it implies is that he was perceived as more suitable for the task at hand which was explained by the Prime Minister himself in October 2014. Addressing the combined commanders conference, Narendra Modi had said, “The threats may be known, but the enemy may be invisible.” At once it was clear that fighting terrorism would be the primary job of the armed forces, never mind the growing real threats from the two military lines, with Pakistan and China. Since terrorism had global appeal, it would help raise Modi’s stature on the world stage. With the National Security Advisor (NSA) Ajit Doval himself being a counter-terror specialist, he could comfortably lead the defence services. The generals, who had risen in service doing counter-terror operations (CT ops) for over three decades, were delighted. They were no longer required to make excuses for not going back to their primary role of war-fighting — a thankless job without the attendant perks like publicity, promotions and awards. 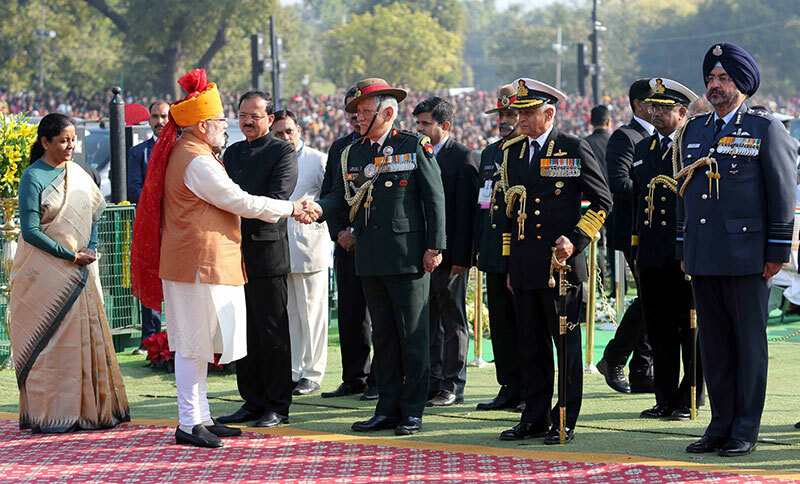 Not for nothing the two-year tenure of 15 corps commander (in Kashmir) was curtailed to less than a year to accommodate the growing list of aspirants vying for the prized posting. Moreover, the Modi dispensation managed to manipulate most of the media and the mood of people, who, charged with ultra-nationalist fervour, took pride in counting our own dead draped in the Tricolour instead of asking the government why so many of our own were dying. Once terrorism became the primary threat, the need for urgent military reforms to make India militarily strong became unnecessary. Fighting terror is a single service, low-level tactical job. Each service can identify the terror threat on land, sea and air, and then keep fighting it till kingdom comes. Unless the support, source and sanctuaries of terrorists in Pakistan are not threatened, faceless terrorists can never be defeated. Ironically, even for a decisive victory against terrorism, India needs to build credible war-fighting capabilities, which in turn requires major political and military reforms including joint-training for optimal results. The army is least happy with this prospect — its large numbers and prominent role would be drastically reduced — since given the rapid technology infusion, modern war-fighting entails pivotal role for the air force. There is an added problem. In war-fighting, offence is the best defence. This means that all fences that the army has build on the border and around itself since the November 2003 ceasefire would have to be dismantled and risk of actual war with Pakistan would increase. Unfortunately, the political leadership does not understand war dynamics between nuclear adversaries, and the military is unprepared for it. Hence, the focus on low-grade CT ops, which bleeds us more!